Hi lovelies! 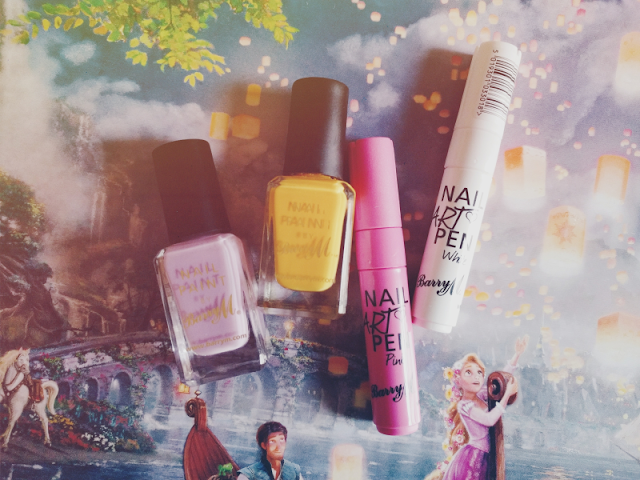 You may have seen that last year the lovely Sam from The Belle Jar and I did two nail art collabs based around Disney couples, so for The Nightmare Before Christmas Sam did Jack-inspired mani and I did Sally, and for Beauty and the Beast Sam did Belle whilst I did the Beast. To continue this series, Sam came up with the brilliant idea that we do each monthly collaboration this year based around which Disney film is featured in the 2017 Thomas Kinkade Disney Dreams calendar! 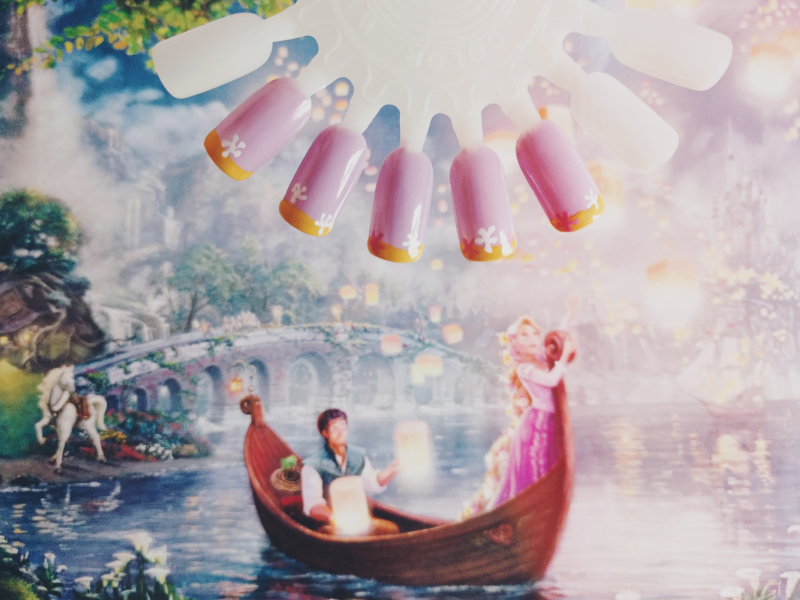 As this month features one of my all-time favourite Disney films, Tangled, Sam has been tasked with creating Flynn-inspired nails, and I Rapunzel nails! For my design I decided to go for a very simple look inspired by Rapunzel's beautiful floral hair towards the end of the film. 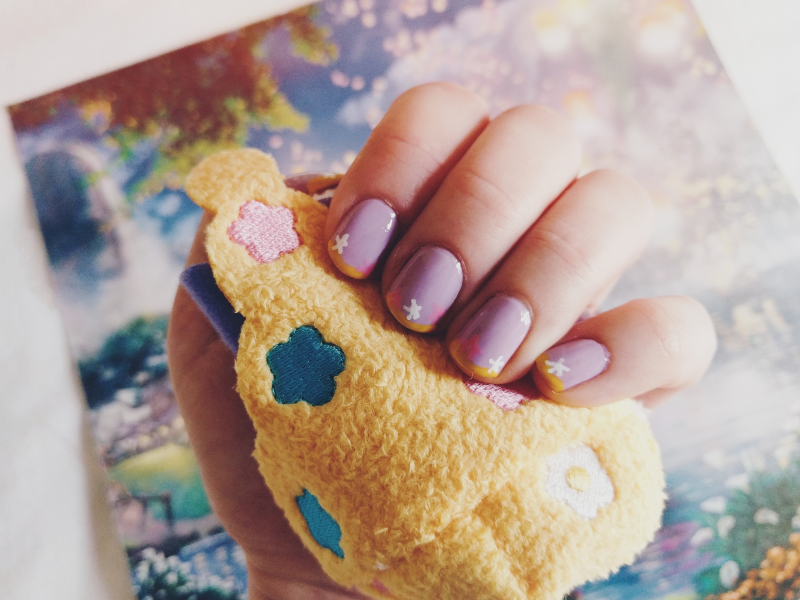 I painted yellow on the tips to represent her gorgeous blonde hair and then used pink and white nail art pens to draw on some little flowers! Unfortunately the pink flowers don't really seem to have shown up in the photos haha...! Remember to check out Sam's incredible Flynn nails (that little Maximum though!). See you in February for our next Disney couple! Can't wait to see what Sam comes up with too!